Updates of posts #2 and #3 are suspended! Please read post #110 for more information ! After talking to Cissy from Sofirn (@ AliExpress) I was informed that the discussion will roll until the next weekend (7th January). After that, their engineers will pick the suggestions from the thread and will work on Sofirn’s new model. About the testing, I asked Cissy if they will make a “pre-production” for tests or just a final version. I will be waiting her answer and will post it here then! The discussion may still keep going on after 7th January, but the post #2 will stop being updated after that day! Post #3 may be updated if there is any information from the manufacturer regarding the flashlight’s building! Cissy, from Sofirn (AliExpress Store) contacted me regarding their new model (yet to arrive): Sofirn K6. The aim of this contact was to ask the “community” some comments/suggestions to build this new model, starting from some specs that I’ll list below, given by the manufacturer. In a message today Cissy also mentioned: “this parameter is not the final design, we may do some available change according to customers demand”. Cissy added that some units will be sent to some members for testing purposes! I’m not sure how it will happen but, please, manifest your interest if you are interested to receive an exemplar to test. The manufacturer will then decide to whom they will send. - Below you will find the information given by Cissy about the new model. - On Post #2 I will put some general topics to add the information given by BLF members. If you have any suggestions (for topics or contents) or questions, please post them. - Post #3 will be reserved for further answers by the manufacturer, if needed, and the interest list for reviewers/testers. I will send Cissy this thread’s link so they can see it and follow it. Also, I will check this thread regularly on the next days and update Post #2 the best I can with your info. PLEASE, be CONCISE and OBJECTIVE in your comments and questions! That’s the only thing I ask to help me organising the information! NOTE 1 >>>> I am not – in any way – related/affiliated to Sofirn or their business! Except for being a costumer, of course! Also, so far, I don’t have any other information about this model, so if you have questions, please add them as well! NOTE 2 >>>> As far as I perceived, Sofirn reserves themselves the right to implement or not the given suggestions. So, if the final models do not incorporate what will be said, I can’t be blamed on that. Un/Lock function: from OFF, 4 continuous clicks to lock-out, the light flashes twice; then 4 continuous clicks to unlock, the light also flashes twice. It returns to some memorized mode. As far as I perceived this flashlight will have 1 Ramping group and 2 Mode groups. - Group 1 (Ramping): at 52ºC, the light steps down firstly (above 1200lm, it adjust to 600lm; less than 600lm, no change); 60℃, the light steps down secondly. - Group 2 (5 Modes): at 52ºC, the light above 600lm, steps down to Med; the light below 600lm, steps to Low; at 60℃, the light steps down secondly. - Group 3 (6 Modes): at 52ºC, the light above 300lm, steps down to Med; the light below 300lm, steps to Low; at 60ºC, the light steps down secondly. The thermal stepdown function stops if we manually adjust the light to higher mode when it stepped down. Then the light works for 3 minutes to step down to the original mode; turn OFF, and activate the light again, the thermal stepdown function works. - A place for a light like this in the market, due to similarity with the BLF Q8, with similar UI. a) Answers by the manufacturer, if needed! Suggestion added on post #2! Thank you! Why not 3 XHP-50.2 or XHP-70.2 on deeper reflectors to have a bit of throw and flood at the same time…??? I think I will put it on the emitter suggestions, unless you prefer to put on the Questions ! What do you say AlexGT?! I’ve got the same request from Sofirn official store, and my answer was that I am not sure that there is a place on the market for same type of light like Q8, with similar or same UI like Narsil. 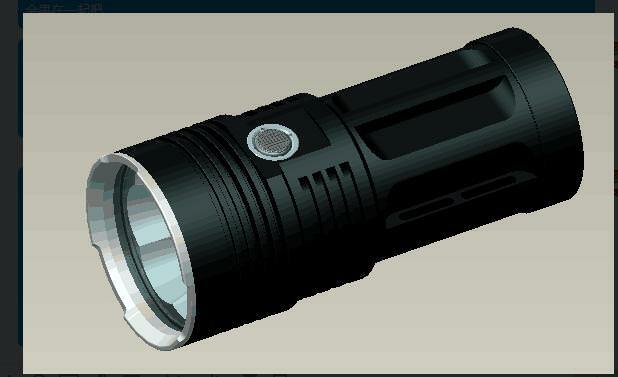 Personally I like the idea of having more lumens but 6 led reflector usually have much floodier beam then with 4 led, so my vote goes to 3 XHP70.2 something like Utorch UT03 prototype ..
Also If K6 went to production,I would love to be on the list for testing. I have one suggestion for the UI. The non-ramping mode group should have “press&hold” to change modes and “fast click” to turn off. I find this preferable to the other way around, as you are less likely to accidentally register a double click; I also find a short click to turn off to be more intuitive than a long press. It would also be more consistent with the ramping mode – in either group, press&hold would change brightness while a click would turn the light off. With the current setup, the interface changes depending on which group you are in, which is less intuitive. Delta_V, just one question: when you mean “press&hold” you mean it like the Emisar D4? Or did you mean “click + press & hold”? Meaning one click for ON, then press & hold to change modes, like the Olight lights? Sorry, I was just manipulating some of my lights and got that doubt! Hmm, that’s a bit tough. Given that we, the BLF community, recently created the Q8 to meet our desires… creating a similar light and asking for our input might take us dangerously close back to the Q8. I like three idea of having fewer emitters (say 3) and make them XHP50.2’s. Or better yet, 3x XHP35 HI! That way we have lumens and some throw. I mean, what does a 10,000 lumen pure-flood do for you? Blind you up close it seems to me. Don’t get me wrong, give me those lumens! Just allow me to cast them a bit farther. The advantage of multiple XP-L emitters is you can get away without using a boost driver like you would most likely have to with XHP emitters. Lets you save on driver cost. That said, if XP-L emitters are chosen, would be nice to have XP-L HI emitters for at least a bit of throw. The additional lumens of HD emitters would be unnecessary in this application. Not having information about the driver, I will not post about it being boost or not, but if necessary, that suggestion will be added later as a complement!! EDIT: Just added one question myself, about the Moonlight mode. How about 3*XPL and 3*XPL-HI ?? and 3 orange reflector and 3 smooth reflector? use by turns? How about six 4000k Luxeon V emitters with a MT03 type floody beam? Set high level around 2400 lumens and give it enough thermal capacity so the light can run continuously without stepping down. A tripod mount would be nice as well. Hum, pre-requisites, not that I know! As I mentioned, concerning this light, I will list the names of the interested people for test / review, and then the manufacturer will decide on who to choose and send them! I don’t know the exact criteria – if it exists – , but it may be based on the contribution for this light’s discussion! How about six 4000k Luxeon V emitters with a MT03 type floody beam? Set high level around 2400 lumens and give it enough thermal capacity so the light can run continuously without stepping down. A tripod mount would be nice as well. Change this f#cking SRK style extruded tube with simple tube with big bore inside. With parallel connection it will allow to use 3×21700 or 4×18650 with same tube. I wish for enabling or disabling Memory as an option. If memory enabled the fast click from off would be the memorized mode. The above would be within the ramping group. But it is bad timing to introduce this format of light after the Q8. Or it could be a good time. There was talk about a Q8 like light with more emitters and also a triple I think. That would be a ways away. If Sofirn can keep it budget like and have consistent quality if could be a hit or a filler befor the next BLF Q8 iteration. There is one thing that are out of my machinary abilities, but defenetly can be made with tools that flashlight manufactures use. If flashlight shape is not round or/and have some objects (side switch) that are usully imply one position when using (ie you will always hold it this way that you can manage switch with thumb), threads MUST be synchronised so the other screwing part (bettery tube) flatness was inline with this position. Maybe Im perfectionist but I dont like Q8 with tube flatness rotated by some degree relatively to the head. Not a suggestion on how to improve this light, but a plea to Sofirm to make the host available. I wish for enabling or disabling Memory as an option. If memory enabled the fast click from off would be the memorized mode. If Memory disabled the fast click from off would go to the Low (non Moonlight mode) The above would be within the ramping group. But it is bad timing to introduce this format of light after the Q8. Not added, but it’s nice you posted I think you got a (very good) point on this!! Also – Im not sure that this is suitable thread – but anyway: There is one thing that are out of my machinary abilities, but defenetly can be made with tools that flashlight manufactures use. If flashlight shape is not round or/and have some objects (side switch) that are usully imply one position when using (ie you will always hold it this way that you can manage switch with thumb), threads MUST be synchronised so the other screwing part (bettery tube) flatness was inline with this position. Maybe Im perfectionist but I dont like Q8 with tube flatness rotated by some degree relatively to the head. kiriba-ru, if I understand correctly, you ask for a good “ergonomy” while grabbing/holding the light, making it easier to hold in the hands and find the switch button when/if rotating the line, right? Like: the button aligned with a – example – flat surface on the top to have a nice grip, and also the emitters aligned well! Imagine that both parts (tube anc head) are square outside (or hex). If parts are first lathed, and then milled on another machine, this flat surfaces wont fit each other. I.e. you will be able to find position when they are synchronized but when you screw them all the way they wont fit. You can avoid this bug if you have combined lathe/mill machine with stepper motor or precision position sensor on main lathe axis.